Earrings, shoes, bags, and belts—they can all easily blend in with an outfit and neither make nor break it, but if you opt for a statement version, they can do wonders. 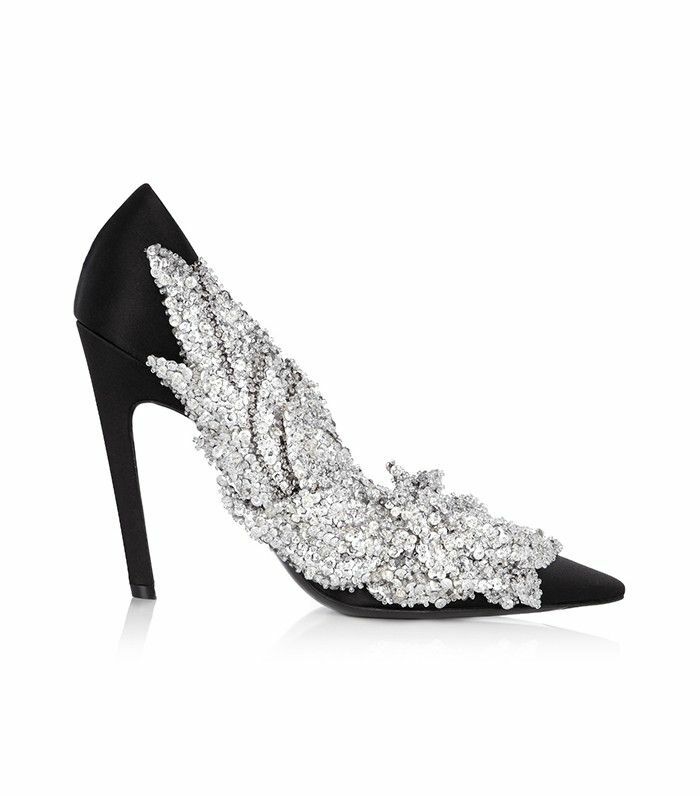 Think shoes like the embellished Balenciaga pair below, tassel earrings, a velvet belt, and more. A single standout piece has the power to instantly elevate your look, and today we've rounded up 16 game-changing accessories to turn your LBD from boring to head-turning this holiday party season. Your only problem now will be narrowing down your choices, but since we’ve included our favorite luxe designers as well as under-$100 options, you may not need to worry about that either. Wear these to a special event or with a pair of jeans! Change things up with this unexpected It bag. Choker? Check. Skinny Scarf? Check. Style this over an LBD or a T-shirt. Throw these on, and let your ears do the talking. These statement shoes are seasonal, too. This belt will be perfect for layering over a coat. A heeled boot to go with your little black dress. The best accent piece for eveningwear or a casual Saturday night. Marni knows how to make a statement earring. A feminine heel that packs a lot of punch. A delicate addition for your favorite party outfit. Style this over all your coats. These boots will go perfectly with a minidress. Now that you've got accessories, see what a celebrity stylist thinks is the best outfit to wear this holiday season.